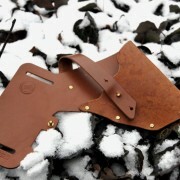 TULBOKS HOLSTER was designed to accomodate a wide range of available handheld drills. We have ensured that the shape of our product is ergonomical and will allow for ease of use. 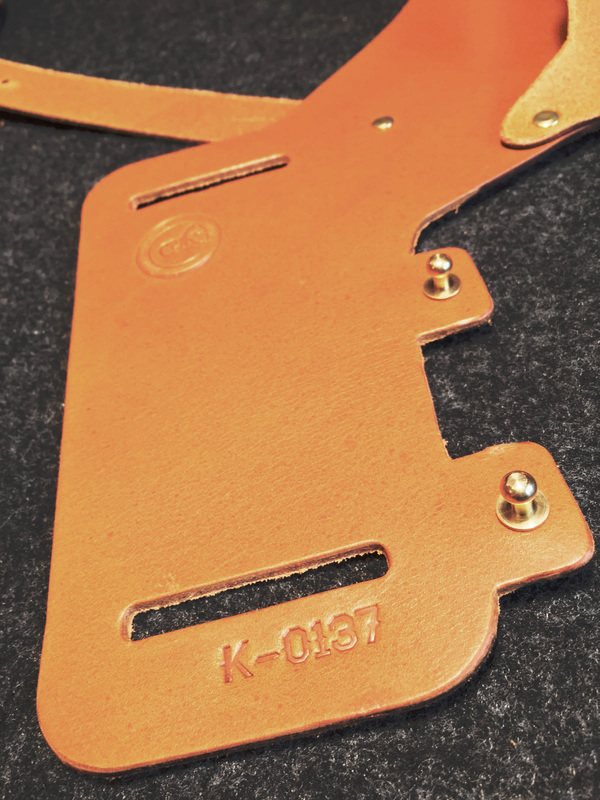 The leather closure strap that secures the handheld drill is made to allow single handed opening and closing with a brass “button” stud. 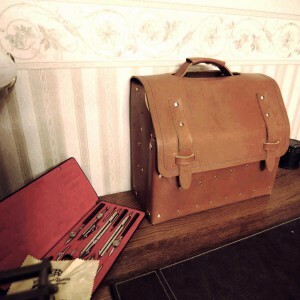 This classic design is inspired by leather pistol holsters available since the last century. 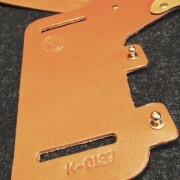 The belt loops are sized to fit most belts and are designed in a way that prohibts the holster from sliding. 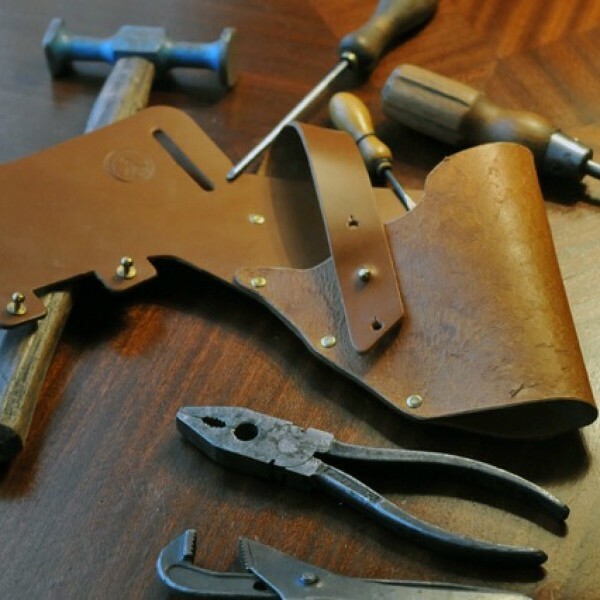 Additional “button” studs have also been placed to accomodate LESZNER 1900 accessories such as a drill bit holster and leather pouches to hold screws. These accessories can also be used on our TULBOKS HOME to which the tulboks holster would make a welcome addition. We invite you to examine our TULBOKS HOME (click here). 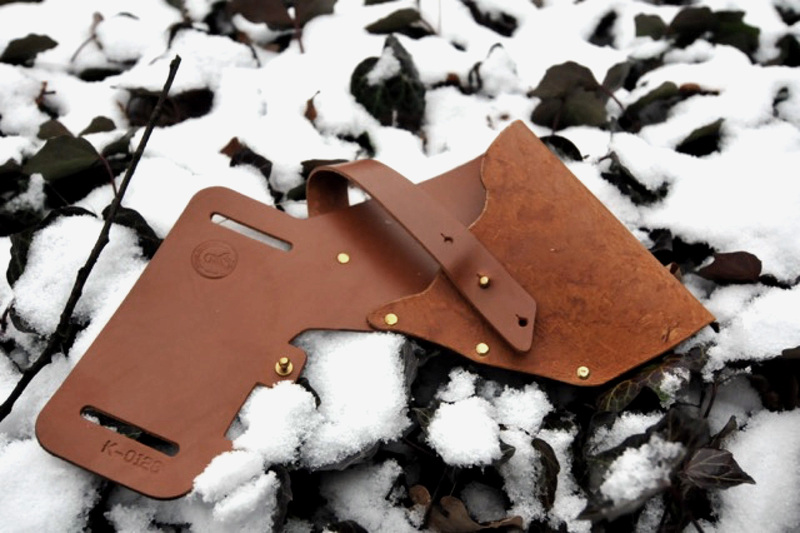 Our TULBOKS HOLSTERS are a product of high end technology and old-world craftsmanship. 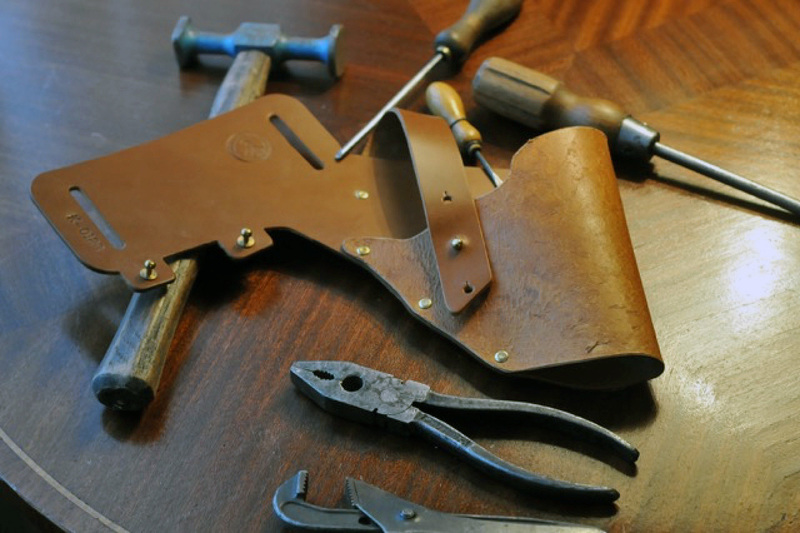 From start to finish, a single craftsman is responsible for hand making each sleeve with extreme attention to details. 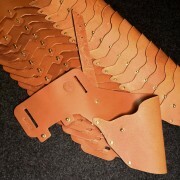 Each holster is made from a single piece of 2.5mm vegetable tanned leather. 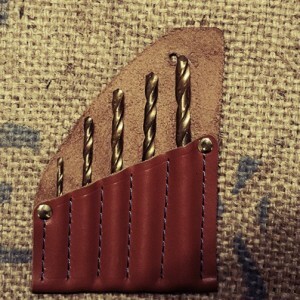 The holster is then finished with brass hardware. 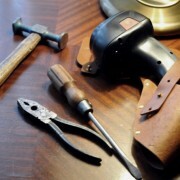 The leather is hand pressed. Then, we hand stamp our signature and the individual number of each piece. 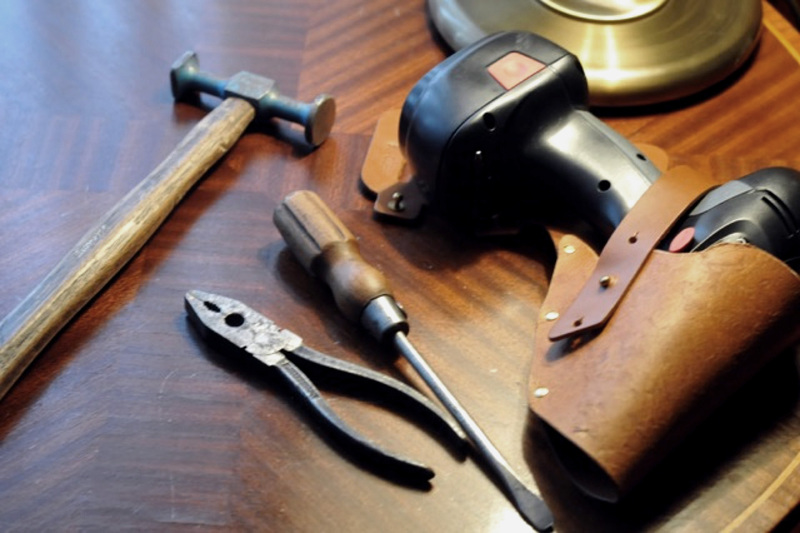 After, the edges of the leather are burnished and in line with our philosophy, each piece of brass hardware is then applied by hand. Before shipping, every piece is polished with our in-house produced leather balm. 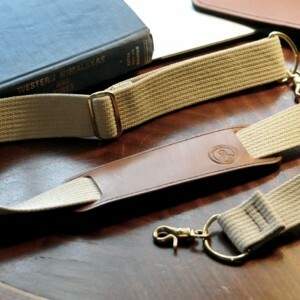 All of our products are made from natural full-grain vegetable tanned leather. 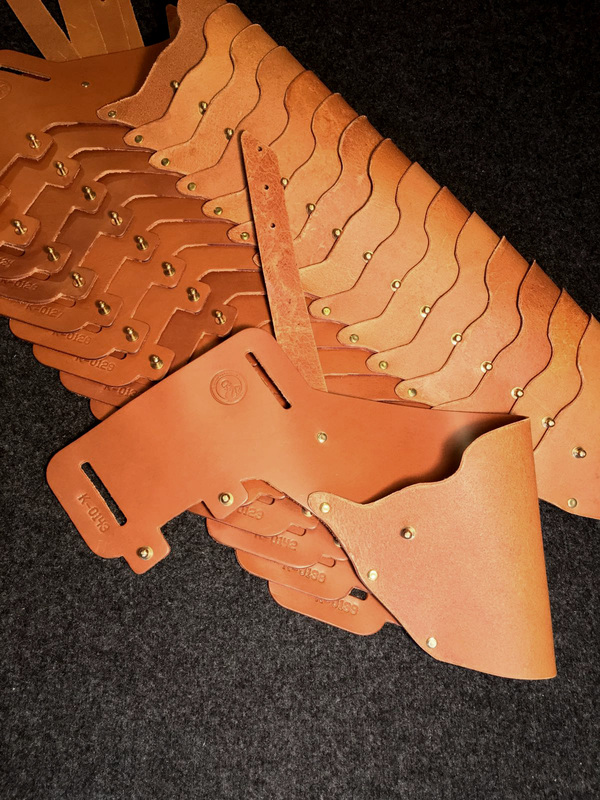 As they are all natural, each holster will patina beautifully over time making no two pieces the same. This ensures a truly unique, handcrafted item. There is also the option to purchase a drill bit holster (click here) as well as accessory pouches (click here). We place great emphasis on the quality of raw materials from which we manufacture our products. We do not use synthetic materials. This applies to the entire production process, from the manufacture of the product, through its finishing, maintenance, confectioning and packing to shipping. Our products are manufactured with a view to future generations. We believe that the combination of traditional handicraft methods, natural and the best quality raw materials with modern technologies allows our products to become an intergenerational, heritage good. Below you can learn more about the range of raw materials we use and see how much effort we put into their selection and making sure that they meet our requirements. 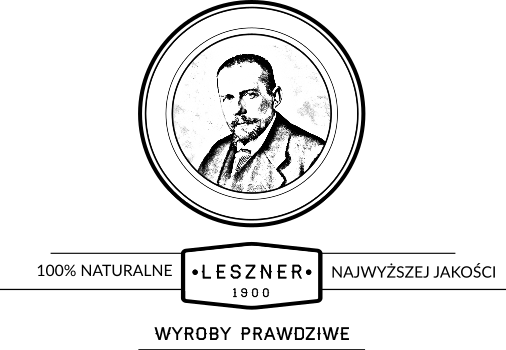 Our leathers are products made according to the same methods for over a hundred years. We only use bovine vegetable-tanned leathers without the addition of chromium salts. This is a noble process that only natural products are used for. This method allows you to get a natural texture on both sides of the skin. In contrast to chromium, the surface of the skin is not homogeneous and free of irregularities. If you’ve ever wondered why age-old leather products age in a very noble way – it’s thanks to this method. It provides very nice patination and a characteristic sound of squeaking when bending. Vegetable-tanned leather is its most unique variety and guarantees a natural, uneven colour. We use hides from Polish tanneries, which we use in three different thicknesses depending on the product (4 mm, 2.5 mm and 1 mm) also in versions mechanically (not chemically) softened where needed. To ensure the highest quality pike we choose in person in the tanneries headquarters with more than a century tradition. Our fittings are carefully selected to match the quality and style of our products. For our products, from 2019, we use only fittings made of pure, cast brass. They are always the products of the highest quality, often from small-sized producers or manufactures who are still working according to pre-war rules and antique equipment. In the future, we plan to cast our own fittings, according to our designs.